New Years Eve is just 2 weeks away. Wondering what to wear for upcoming holiday parties and New Year’s photo ops? I simply love this festive palette of red, gray, and black. It’s perfect for family winter portraits! 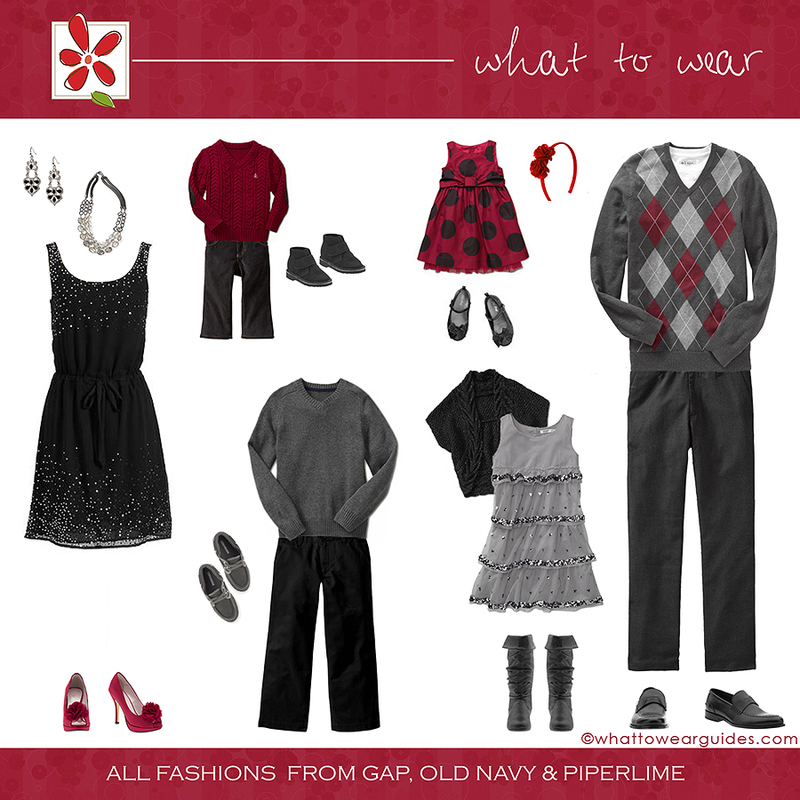 For additional outfit inspiration be sure to check out past editions of “What to Wear” in the categories menu above.